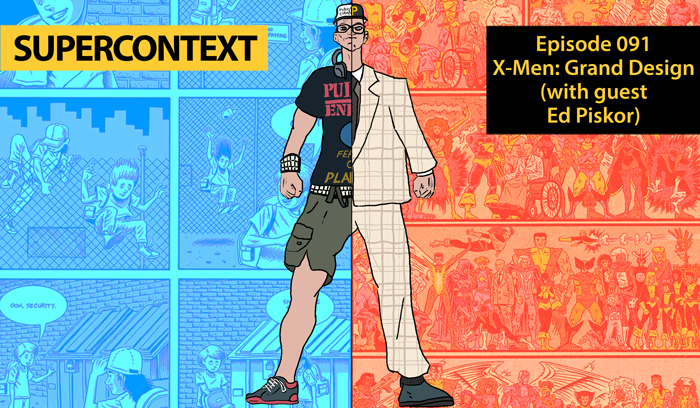 This comic book project stitches together the most important moments from decades (and thousands of pages) of X-Men comics. We talk to cartoonist Ed Piskor about his production process, the comics market and the relevance of the X-Men’s themes in the present day. This entry was posted in Supercontext and tagged Boing Boing, book market, Chris Claremont, comic books, comics, digital comics, direct market, diversity, Ed Piskor, episode, Grand Design, Hip Hop Family Tree, Jack Kirby, Jim Rugg, Marvel, podcast, process, Stan Lee, Tom Scioli, Wizzywig, X-Men on January 26, 2018 by Charlie.